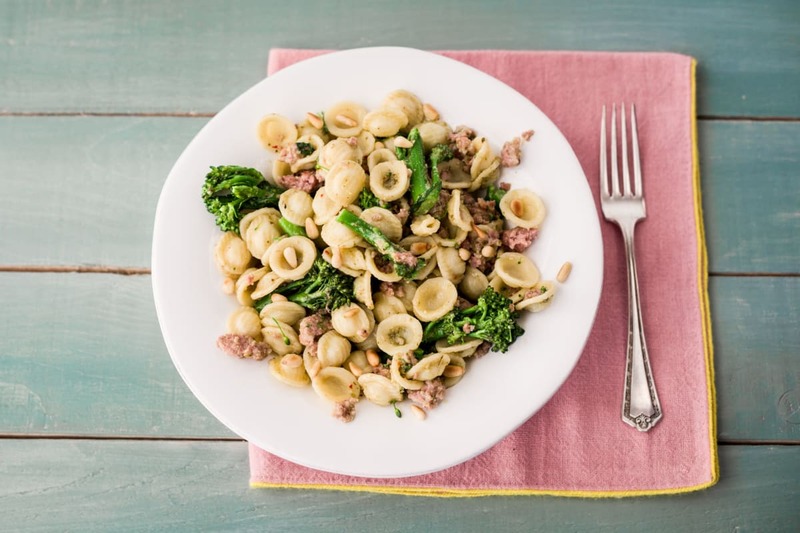 If you were spending a weekend in Rome then you might come across this dish under its traditional name, ‘Orecchiette ai Broccoletti’. 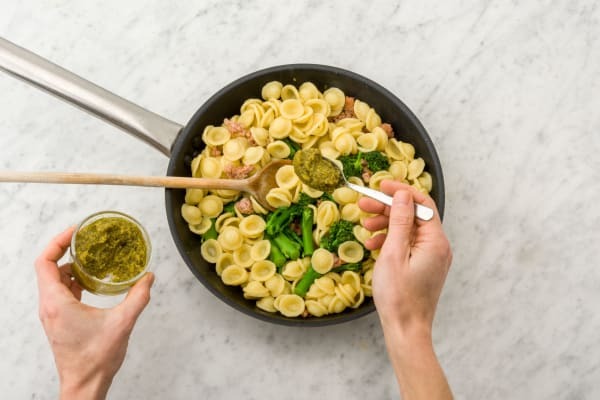 It’s a classic Italian dish combining a few simple, yet incredibly high quality ingredients for a quick, nutritious, delicious dinner. A plateful of nutritious deliciousness in the time it takes to boil your pasta! Boil a large pot of water for the pasta. Add ¼tsp of salt. Chop the purple sprouting broccoli widthways into 3 pieces. 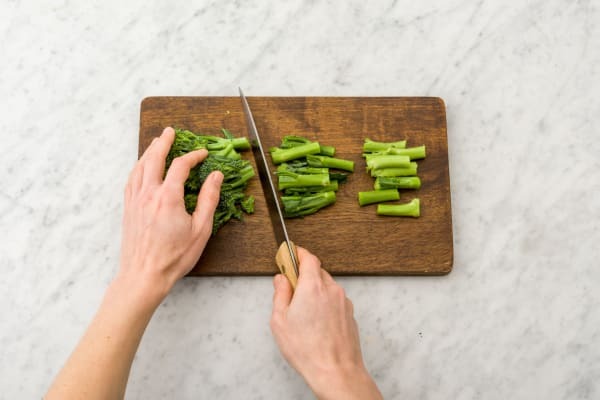 Cook the broccoli in the boiling water for 1 minute. Remove the broccoli from the water but keep the water for the pasta. Cook the pasta in the water for 10 mins. Reserve 4 tbsp of the pasta water then drain. Heat a frying pan on medium high heat. Add in the pine nuts and toast them for a few mins, then remove from the pan. Tip: Watch the nuts like a hawk as they can burn easily. Remove and keep to the side. Heat 2 tsp of olive oil in a non-stick frying pan on medium high heat (you can use the same one you used for your pine nuts - no need to wash!). 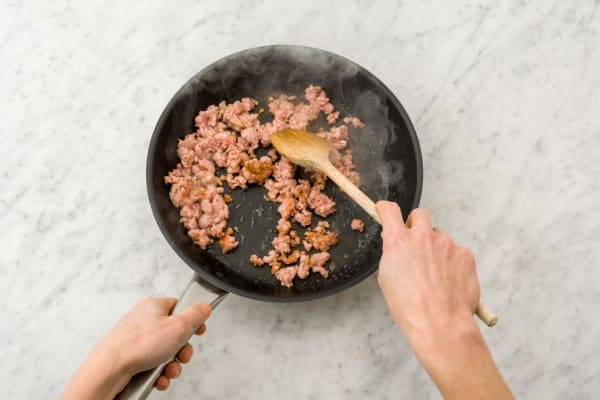 Once hot, cut open the sausage and cook the meat in the pan (discard the skins). Cook for around 5 mins until nicely browned off. Add the broccoli and chilli flakes and cook for 2 mins. Tip:Add the chilli flakes slowly as they’re spicy! Season with ¼ tsp of salt and a few grinds of pepper. Add the 4 tbsp of reserved pasta water then add the pasta. Add the pesto and stir. 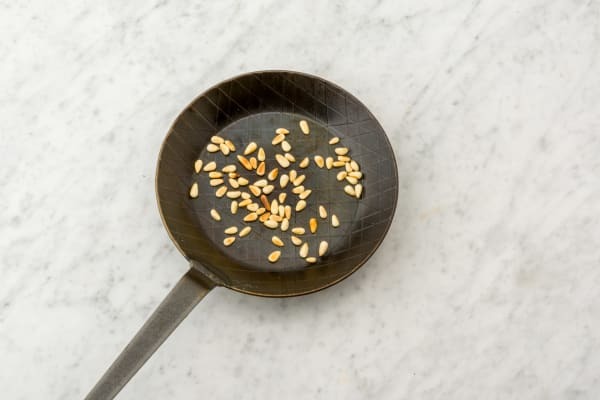 Serve with a sprinkle of pine nuts.